NetProspex and Pinpointe lead a FREE *interactive* webcast. 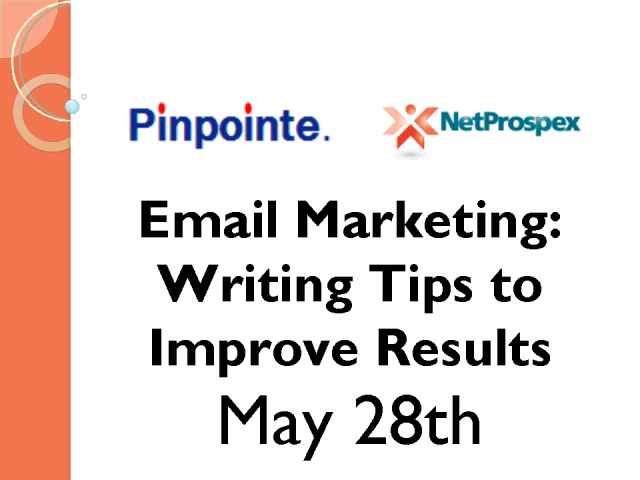 We've pulled together an information packed, interactive session to help you improve email response rates with our email writing tips based on analysis of millions of B2B emails sent through Pinpointe. Our last event drew over 1,000 participants so please sign up now!